Guildford based Xeonz has recently hit the spotlight, with tunes being picked up by bassline tastemakers Skepsis and Darkzy to name a few. 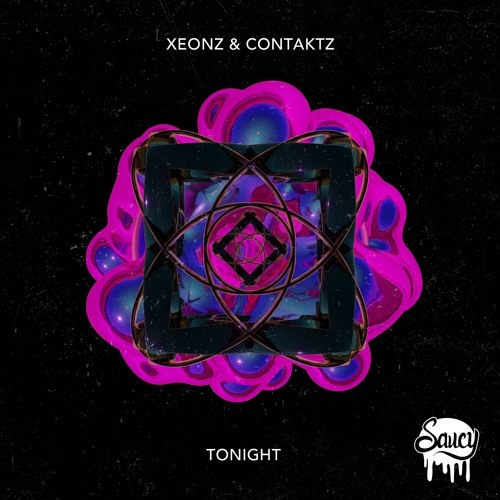 It’s not just the DJs either, Xeonz has a healthy portfolio of bookings, and releases on labels such as Crucast, 3000 Bass, Listed, and now Saucy Records. Also hailing from Surrey, Contaktz is even fresher faced on the scene. Judging from this initial foray into bassline though, he is certainly one to keep an ear out for throughout 2019! ‘Tonight’ starts with a chopped vocal sitting tightly above a fast paced 4×4 garage beat, letting you know right out of the gate it’s going to be a face-melter. An apeggiated synth is briefly introduced to us before we’re dropped straight into the build. A tame reese bass greets us, laying out an almost “pop” chord progression that provides a perfect foundation for the vocals. The track starts to gather energy, and gently snowballs towards the drop. After a tender and soothing build, ‘Tonight’ launches us into a myriad of fast stabbing basses, arpeggiatted synth plucks, and choppy hats and snares. Even listening at home you can tell that this is definitely the sort of tune to catch you off guard at 3am in the rave. All in all, a very fine addition to the Saucy Records repertoire, and a very nice notch in the belt for Xeonz and Contaktz.